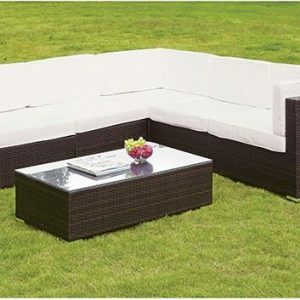 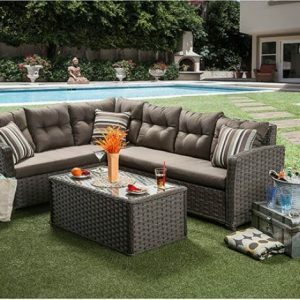 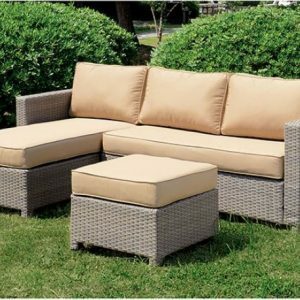 Soak up some sun with this L-shaped patio sectional and ottoman set. 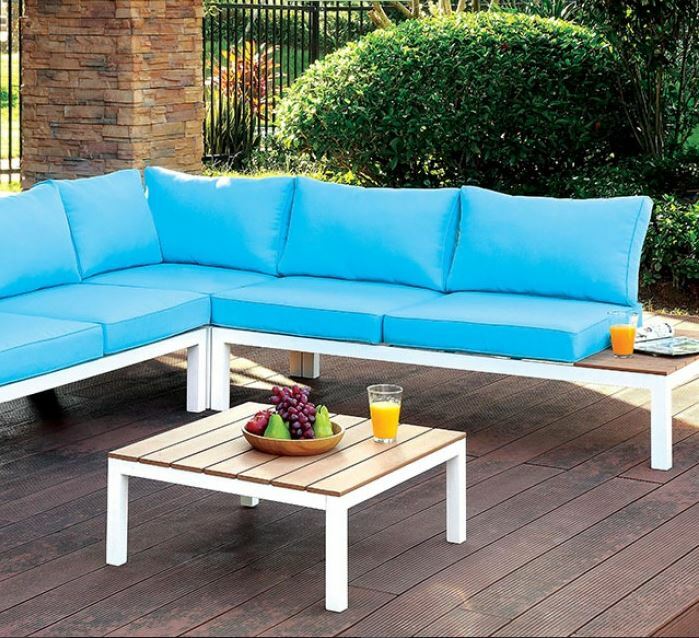 The aluminum framework provides structural integrity for the lengthy design while plank style surfaces add a casual touch. 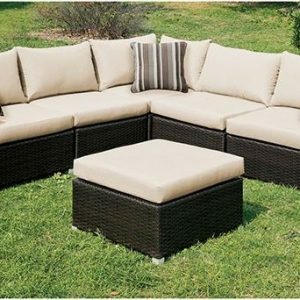 The foam-filled cushions provide the necessary comfort for hours of relaxation, and the ottoman easily doubles as an extra table to hold both drinks and snacks.